Every year many people in the Bay Area are injured as a result of goods that are defective, unsafe or fail to meet prescribed construction, performance and design standards. We have decades of experience helping people recover for their injuries. This area of law is known as “Products Liability” and it produces some of the most complex litigation and complicated trials in California. That is why you will want to talk to us; our experienced partners are nationally recognized trial lawyers who have been there before, and whose only job is to help you. Manufacturers and distributors of a product have the responsibility to ensure that damage is not caused to consumers by the product in question. Defective products that cause harm to consumers, users or bystanders of the dangerous product are the focus of products liability lawsuits. Companies are responsible for the design, construction, manufacture and marketing of their products. If they cause toxic exposure, mold injuries, wrongful death, accidents, mesothelioma or other injury, whether in the workplace or at home, they are responsible. Unfortunately, some companies try to escape their responsibilities. 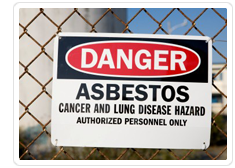 We have decades of experience with products liability and asbestos cases, and we have won many substantial awards for our clients. Companies sometimes try to bury our clients in paper, but we have the ability to fight off such tactics. They may try to drag things out, but we know how to get results in trial; we have won hundreds of millions of dollars in verdicts. We have decades of San Francisco big-firm experience, and we set up shop to put that experience to work on a first-name basis. We represent clients who have suffered personal injury in products liability cases in California including the San Francisco Bay Area, Oakland, San Jose, Sacramento, Los Angeles and other California communities. Please give us a call, so that we can start fighting for you.